Broken Hill has a women’s memorial – nevertheless ,so far I have only found one specific woman: Lieutenant Vivien Bullwinkel memorised. This project turns the focus on the heritage of female presence in Broken Hill through storytelling and a mural. After presenting My Name in Adelaide Central Gallery in July this year and shaping the project together with curator Andrew Purvis I was convinced that I would find many women in rural Australia. Broken Hill Art Exchange offered a residency and I have spent a week searching and painting. This project is an invitation to share stories and turns the focus on the local history and it has space for personal stories. there never was a Pam, the lady that opened the shop always wanted a daughter that she would call Pam, but she ended up with boys only so she named the shop Pam. 25 odd years ago when the cafe opened it was called Charlotte, as the owner thought that was an elegant name, worthy to make her cafe special. Camille was the name of the apprentice when the hairdresser went into business, Camille is now in the local nursing home. Cora established a Asian food store – today she still sells spring rolls at the monthly farmers market. Irene did name the drapery after herself, the shop has long closed, the name is still framing the building. 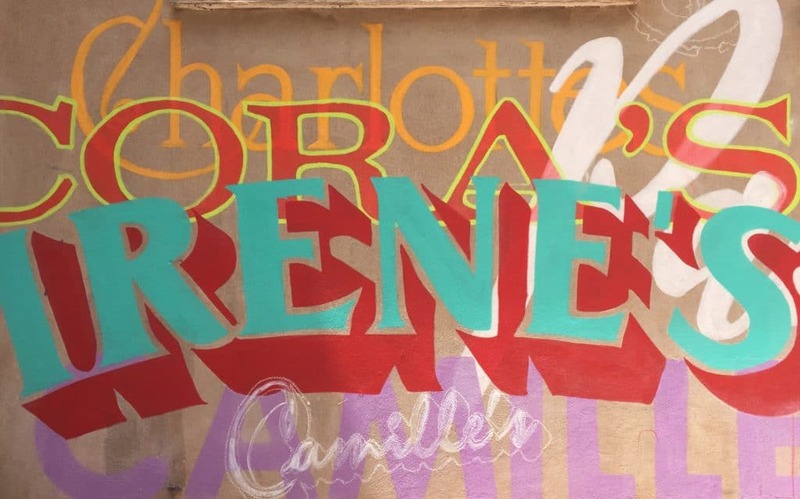 Thank you for this inspiring piece highlighting how woman are represented in urban spaces through their names. A perfect piece for the Broken Hill Art Exchange’s Residencies@The Grand – Heritage Courtyard. of course like your web site however you need to take a look at the spelling on quite a few of your posts. Several of them are rife with spelling problems and I to find it very troublesome to inform the truth on the other hand I’ll definitely come again again. you are so right – spell check is desperately needed!